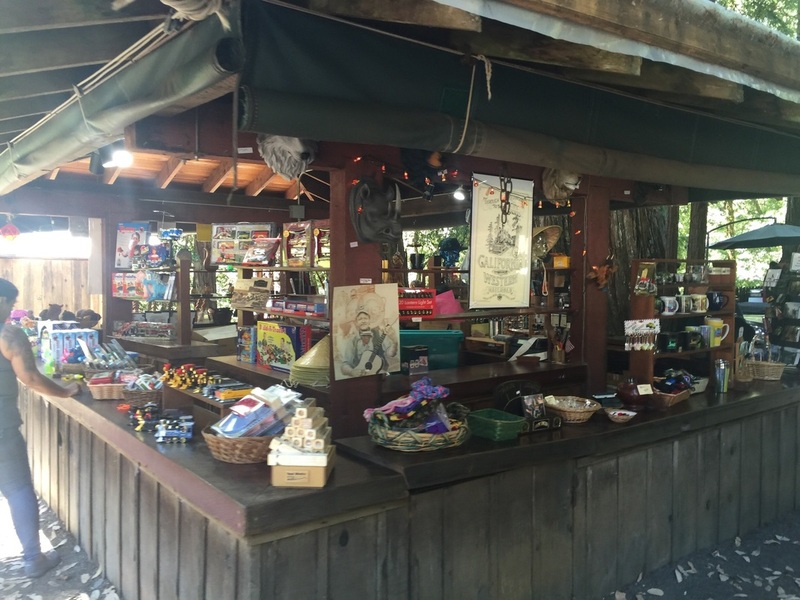 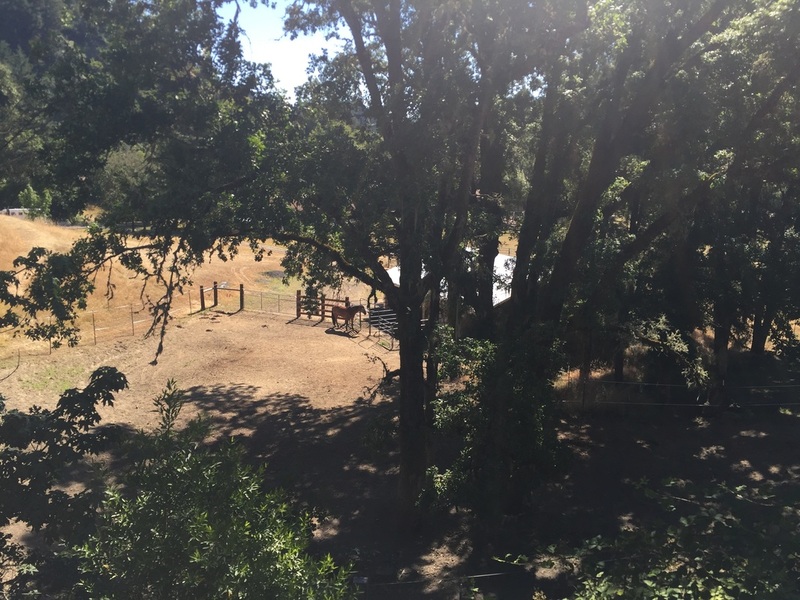 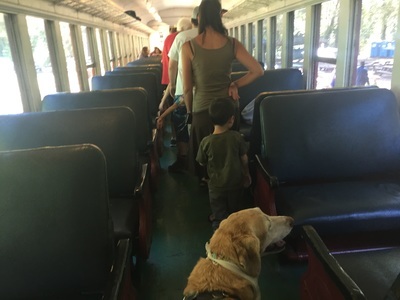 Fee: $59 per adult, $34 per child and $10 per dog for a nearly 4-hour ride, or for a one-hour excursion: $25 per adult, $15 per child and $10 per dog. 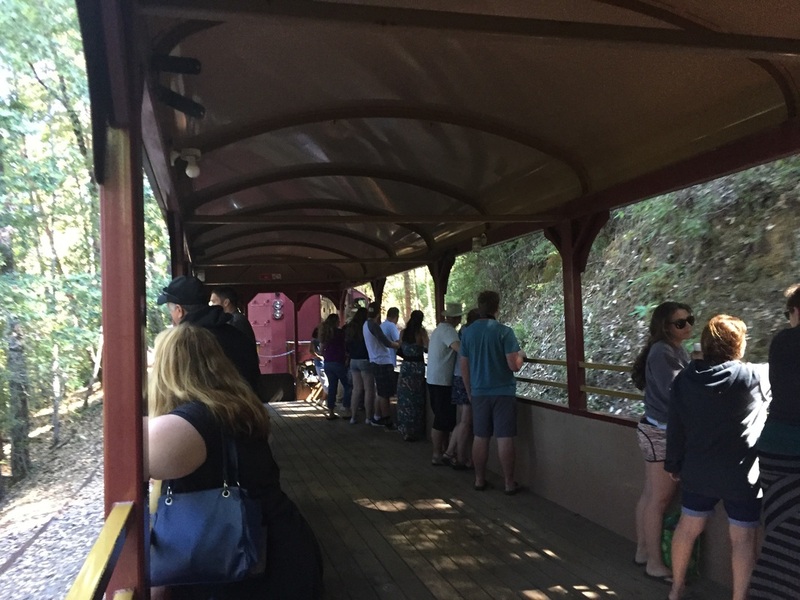 Best time to visit: Anytime, if it isn’t a hot day. 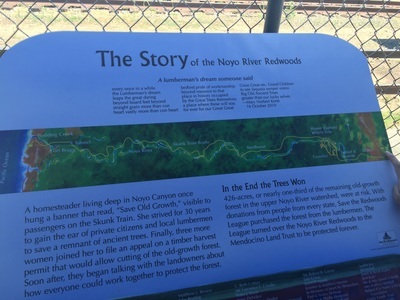 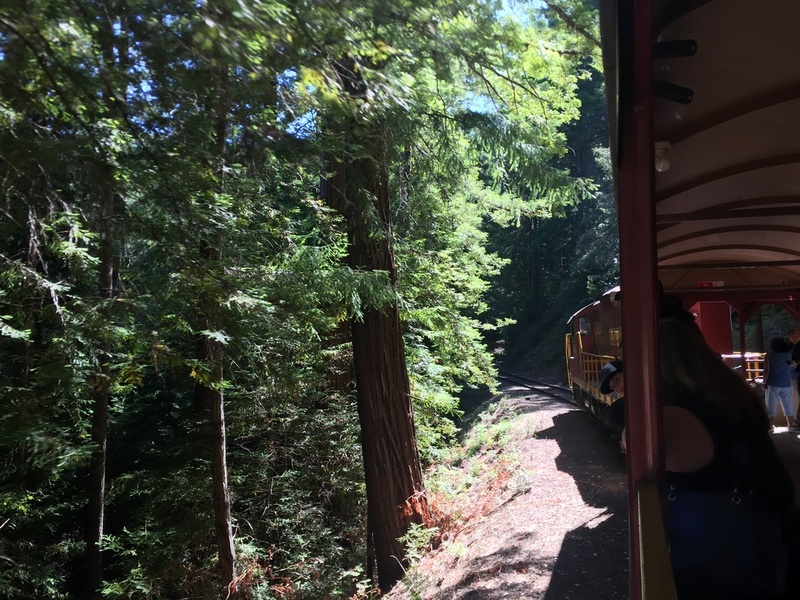 Description: Take a scenic train ride through redwood forests from the Pudding Creek estuary and along the Noyo River. 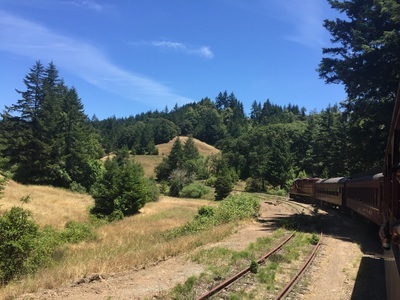 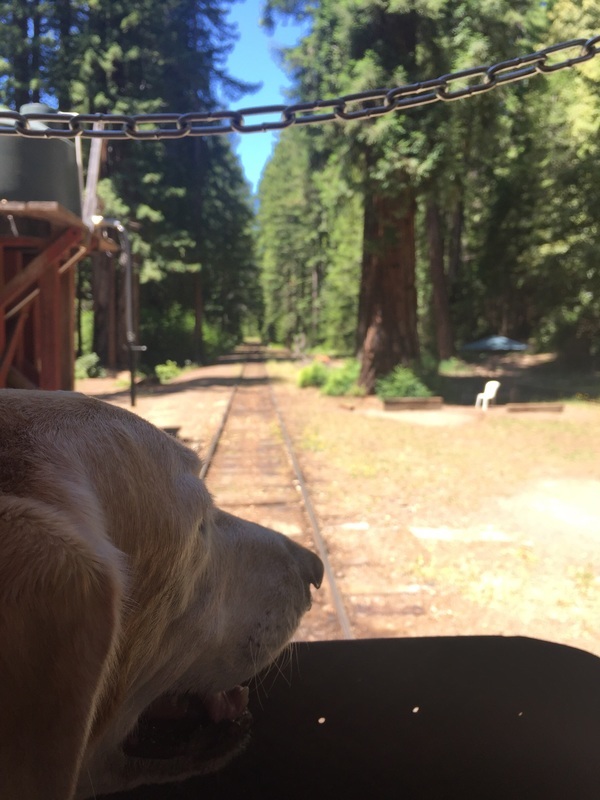 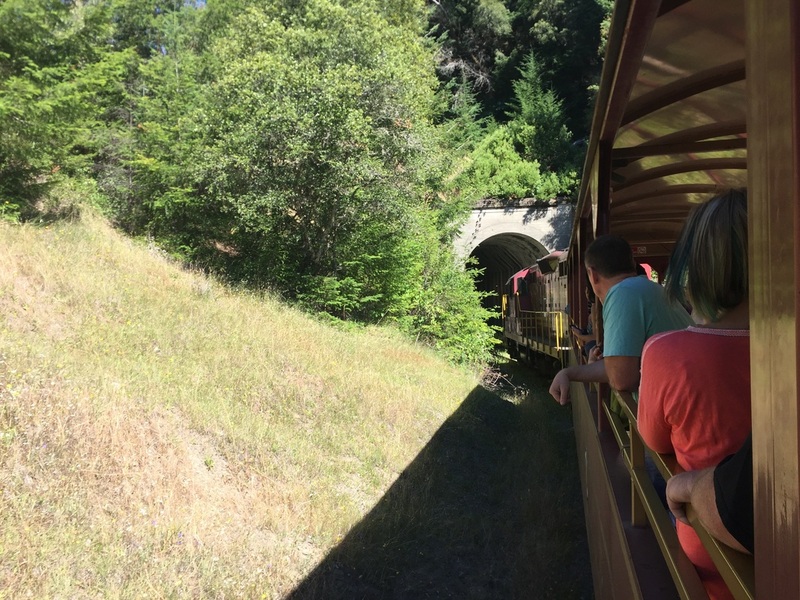 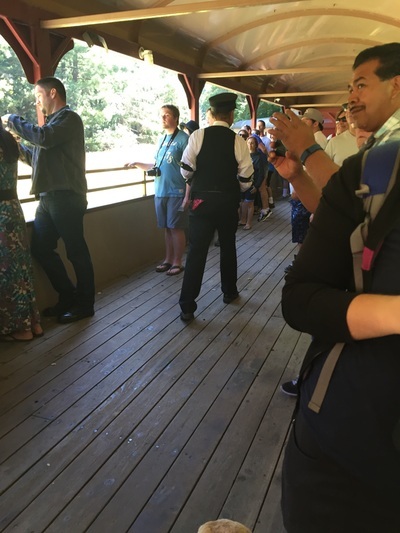 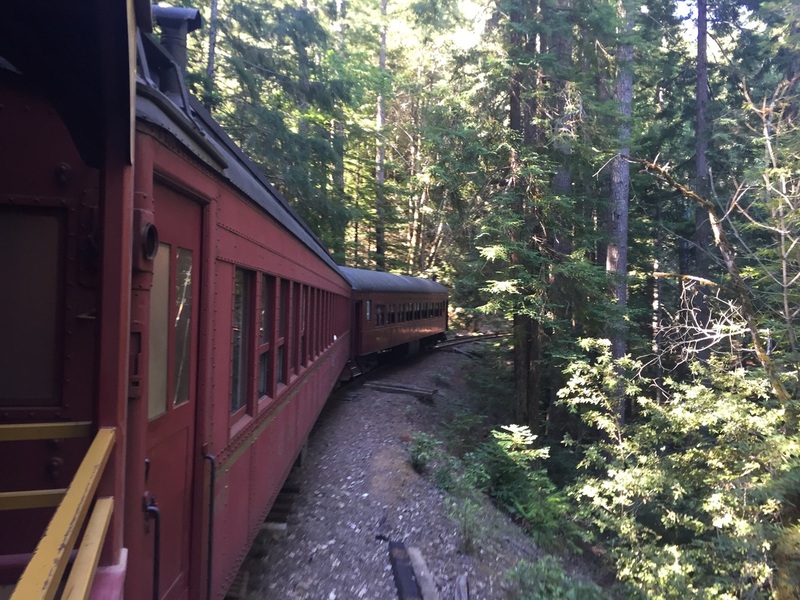 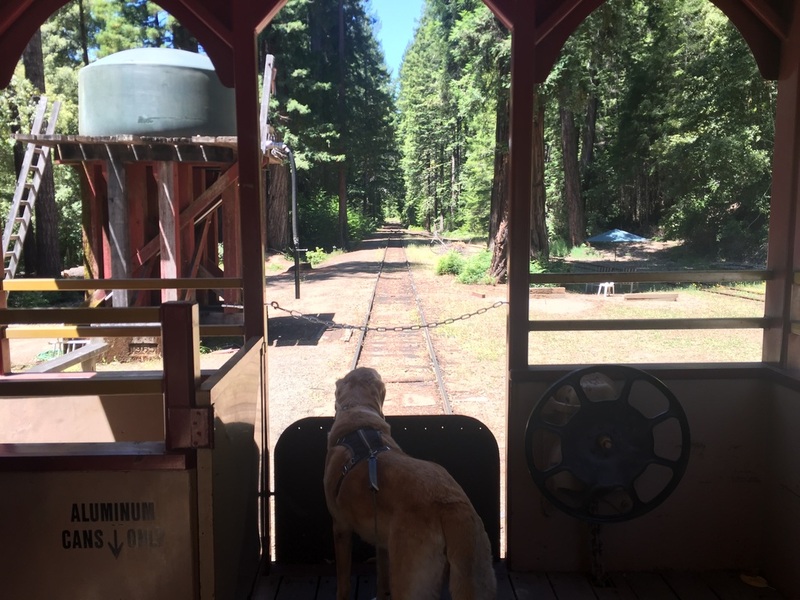 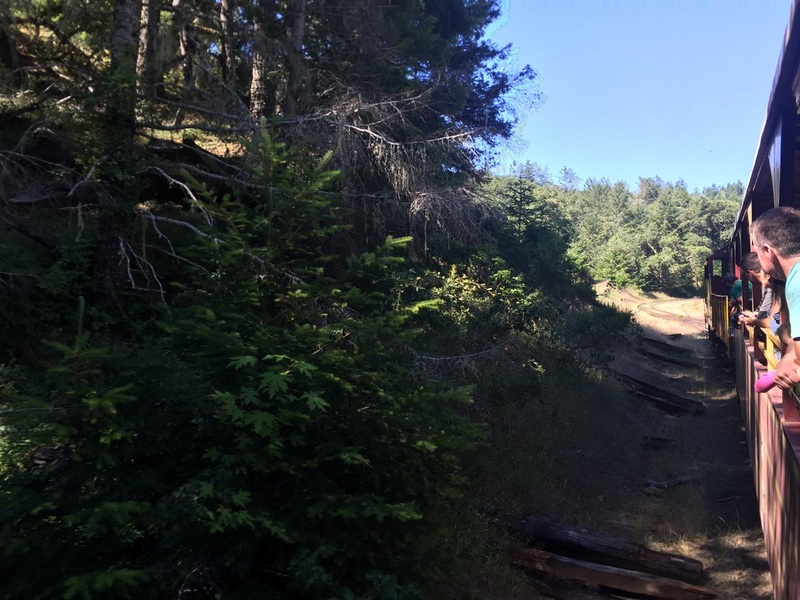 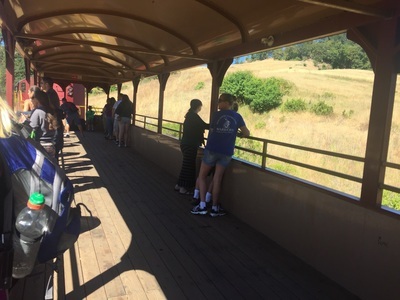 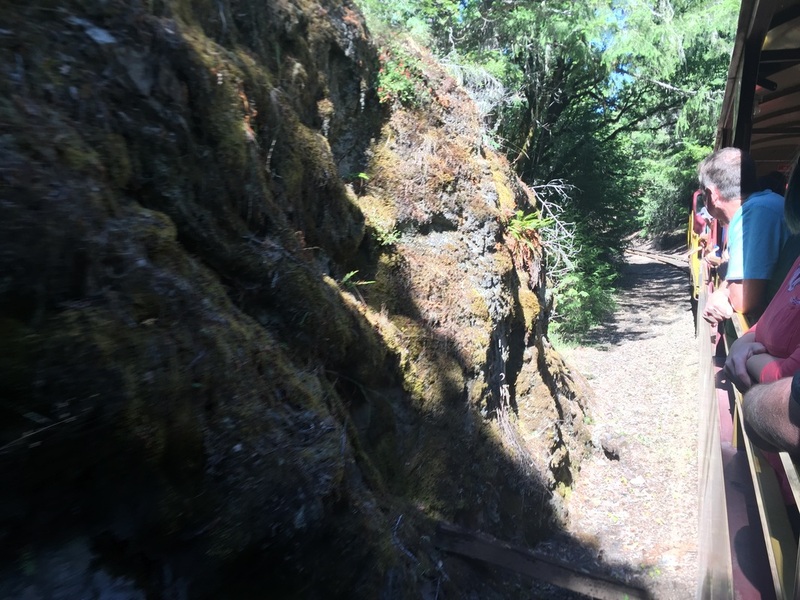 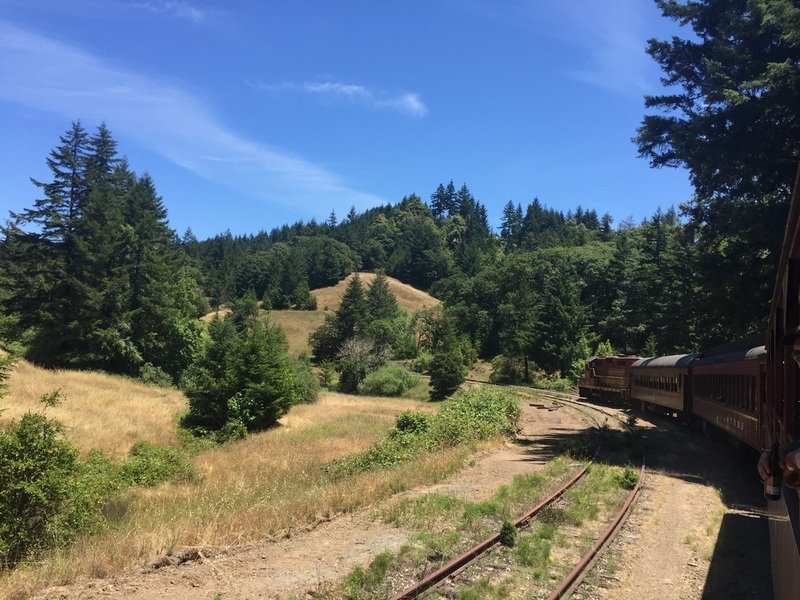 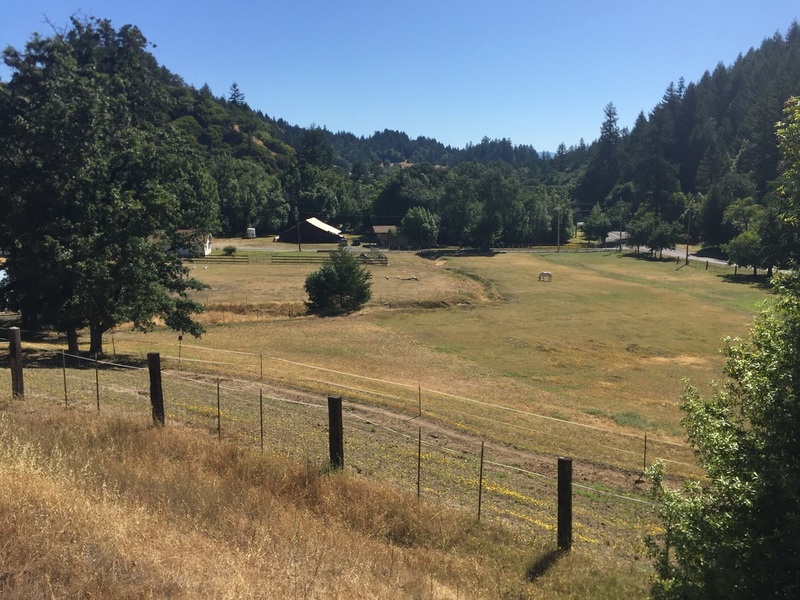 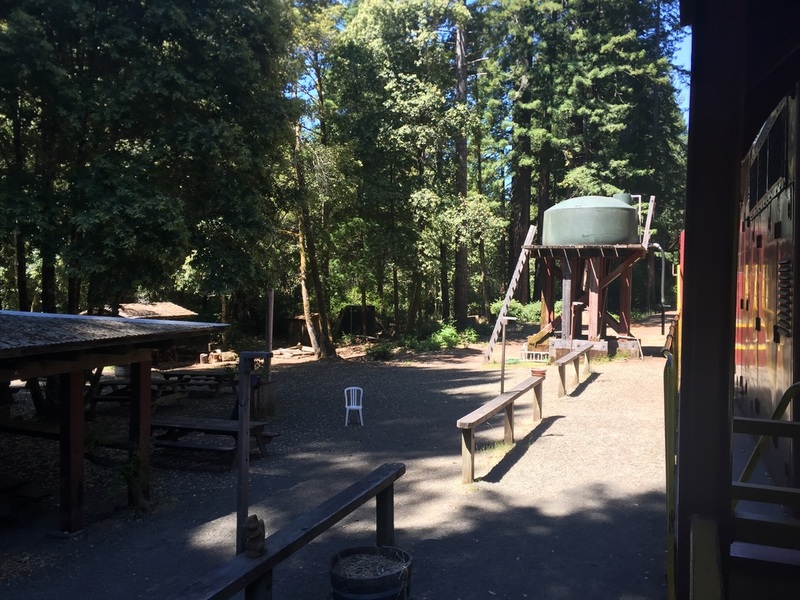 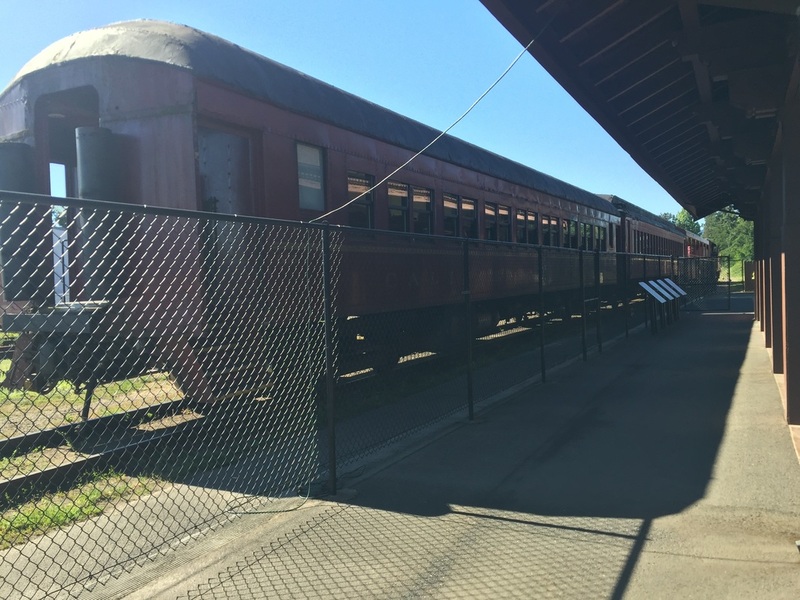 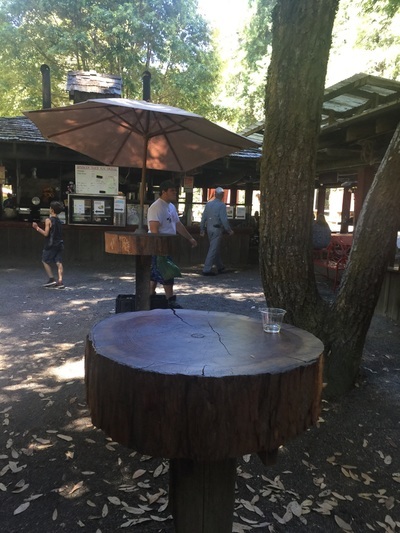 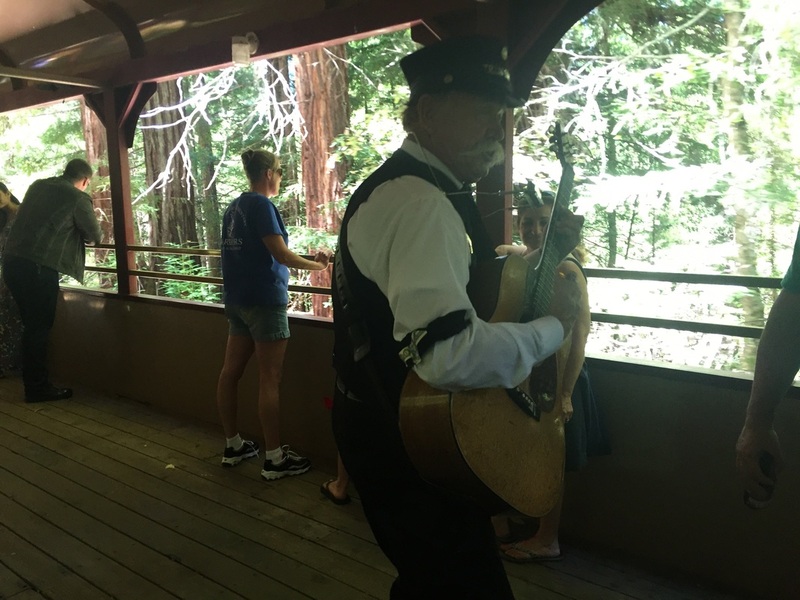 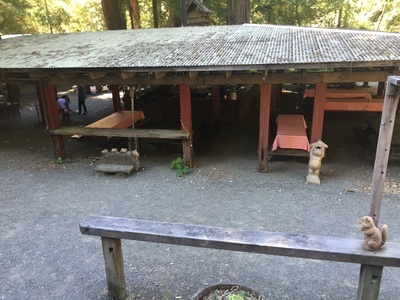 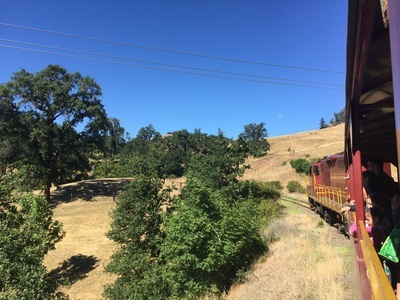 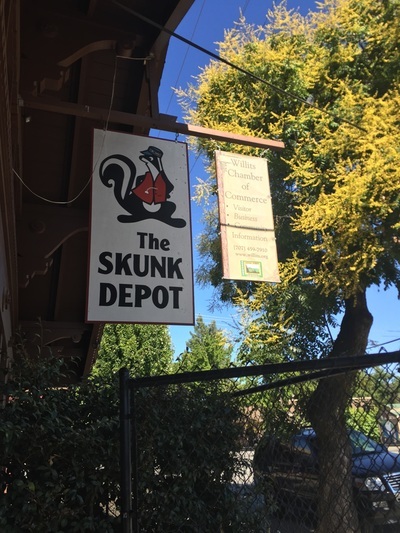 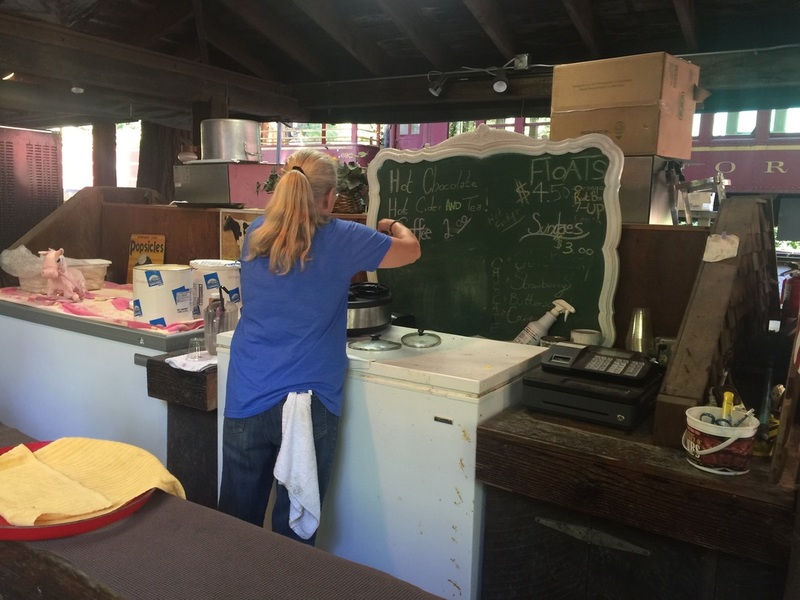 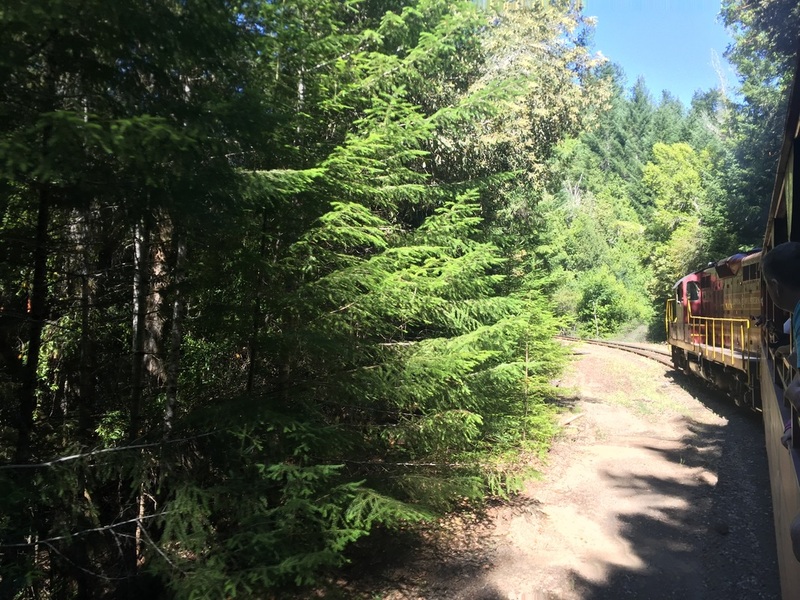 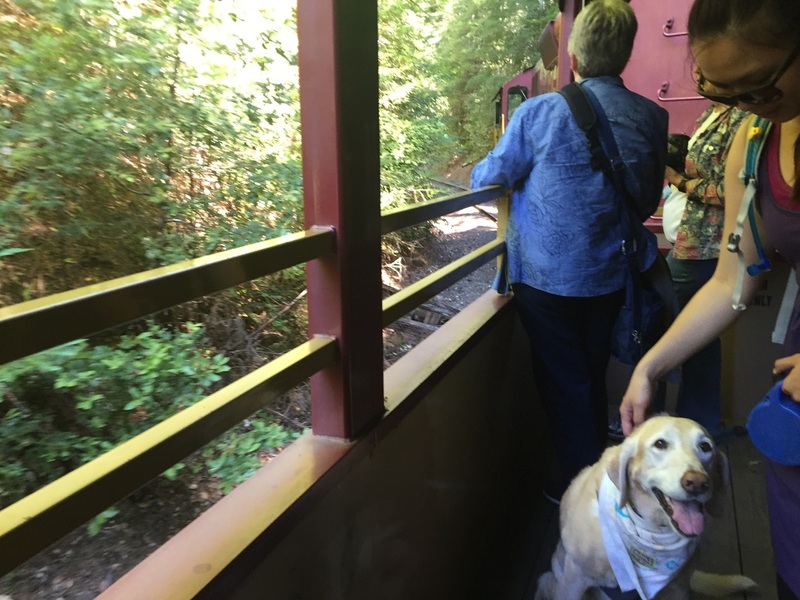 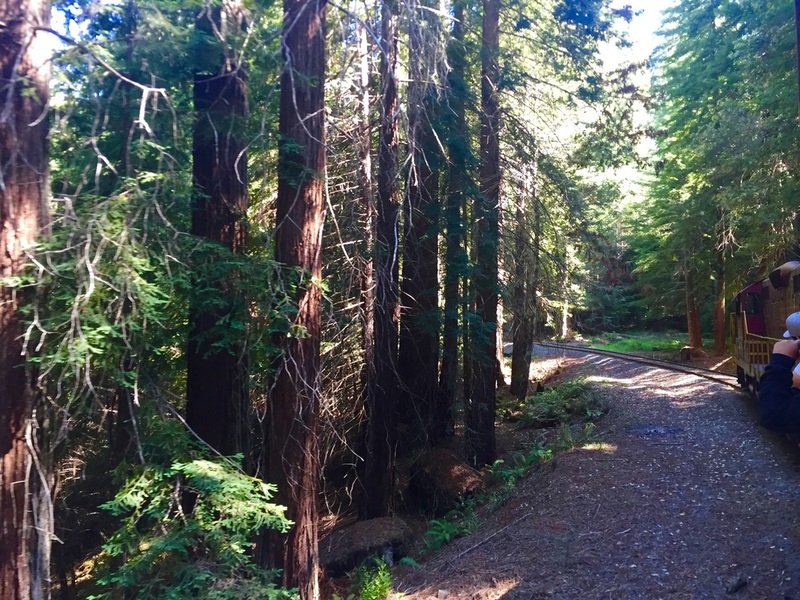 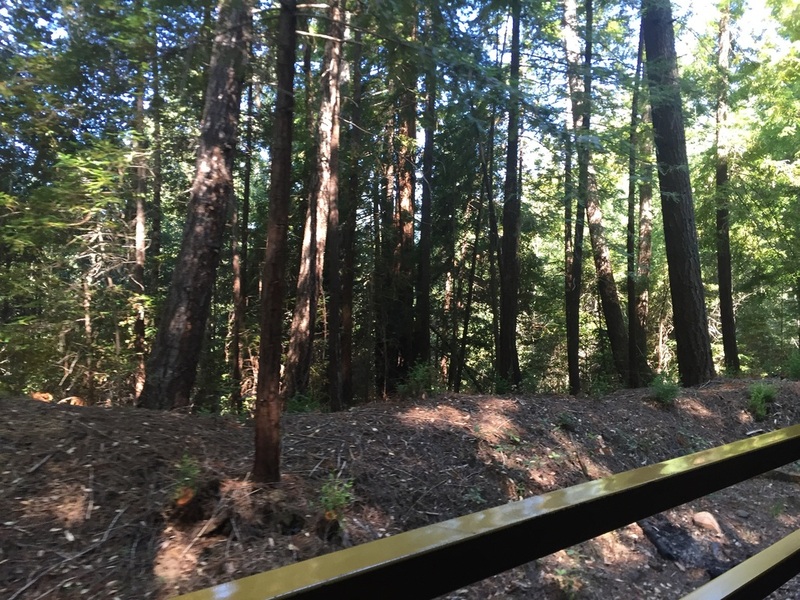 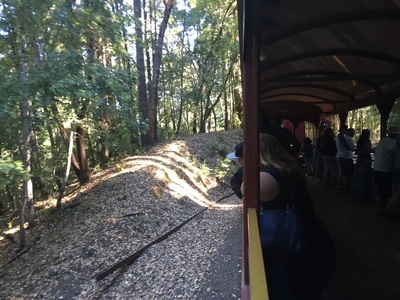 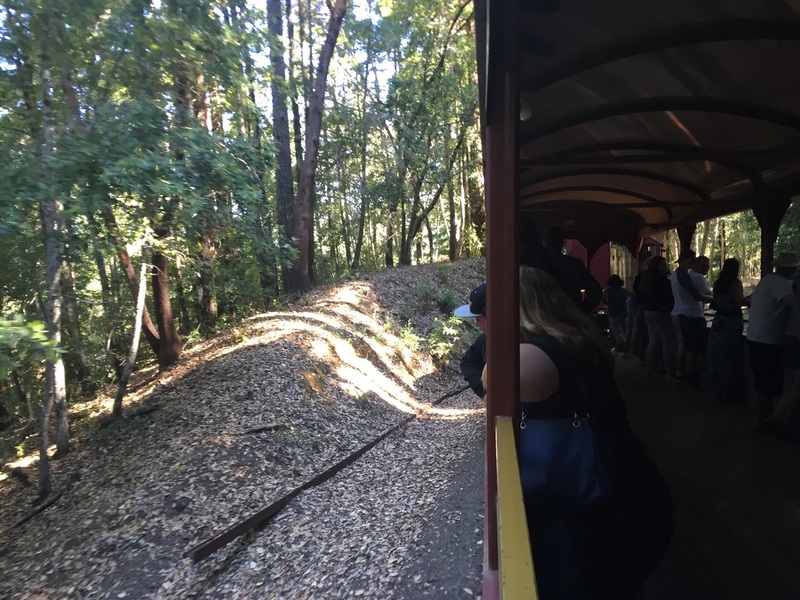 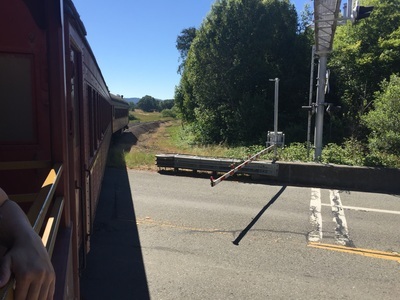 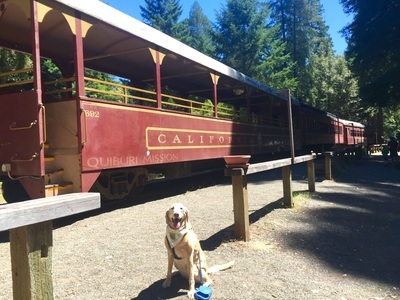 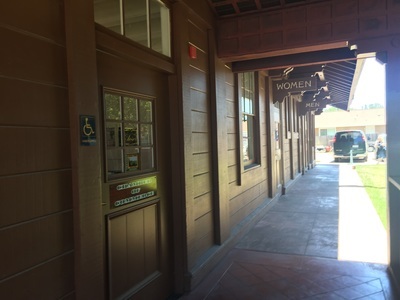 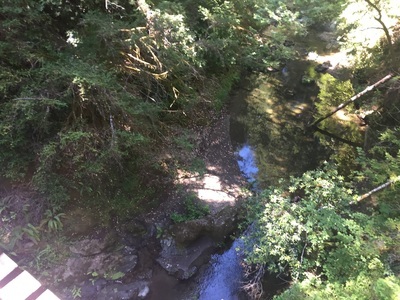 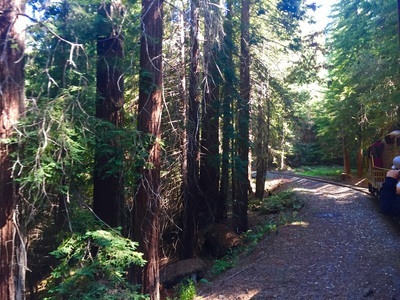 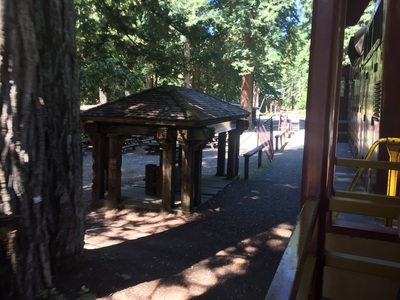 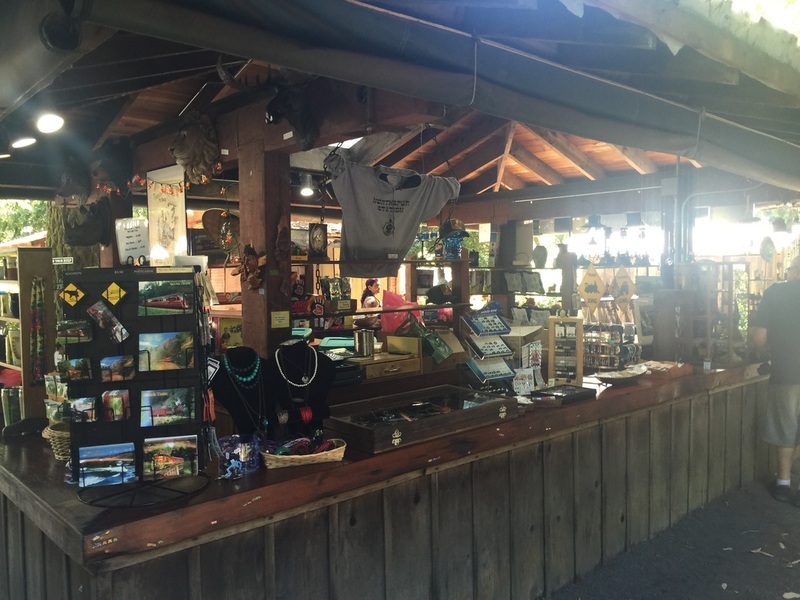 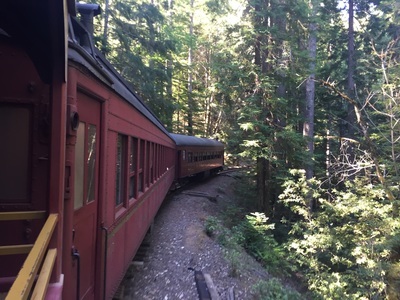 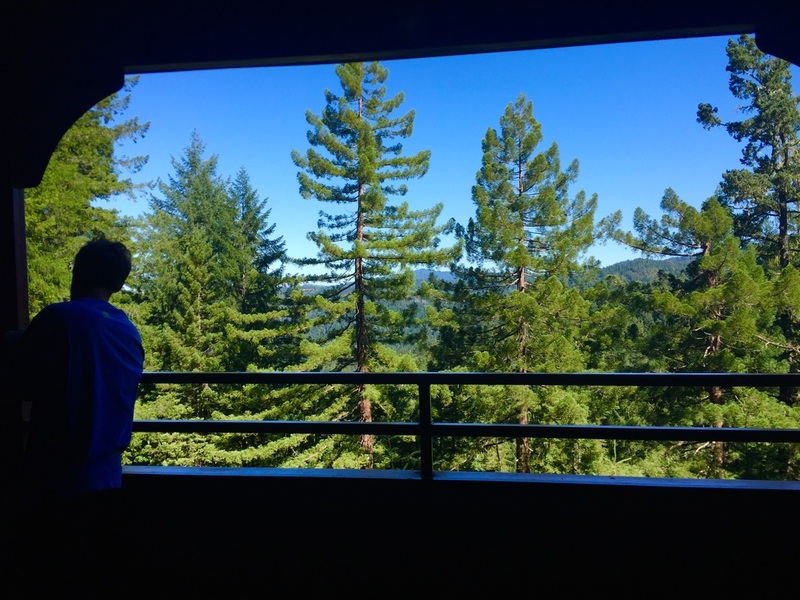 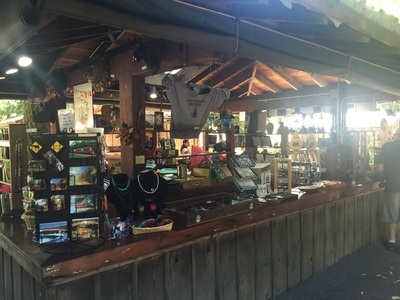 The Skunk Train offers two options: a one-hour ridge along Pudding Creek, or a nearly 4-hour excursion through the redwoods and along the river. 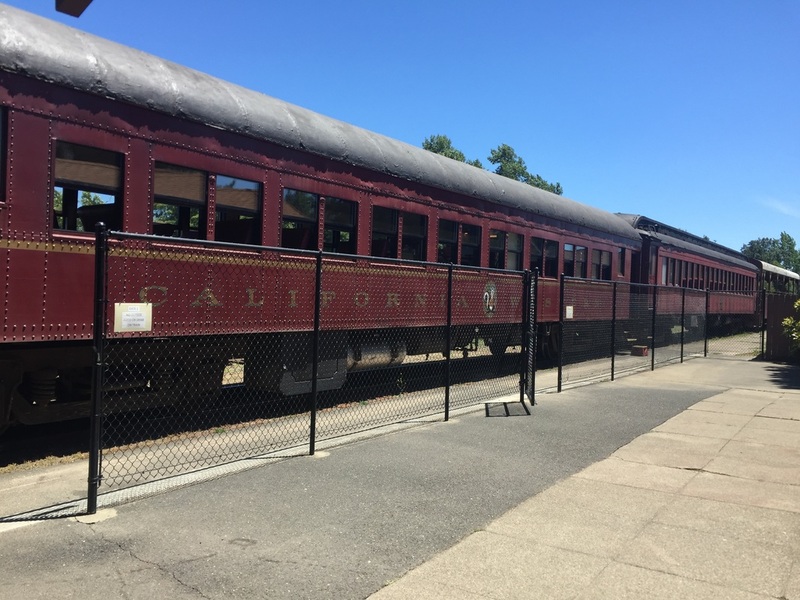 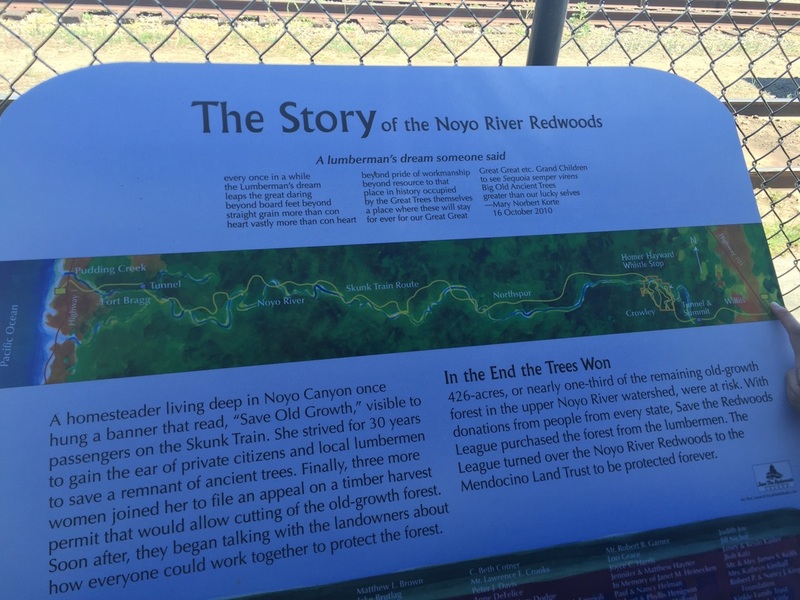 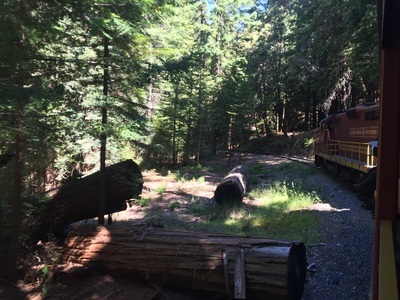 We took the 4-hour excursion and this train ride covers forty miles of the same “Redwood Route” it has followed since 1885. You will pass through a tunnel and over several bridges above the river. 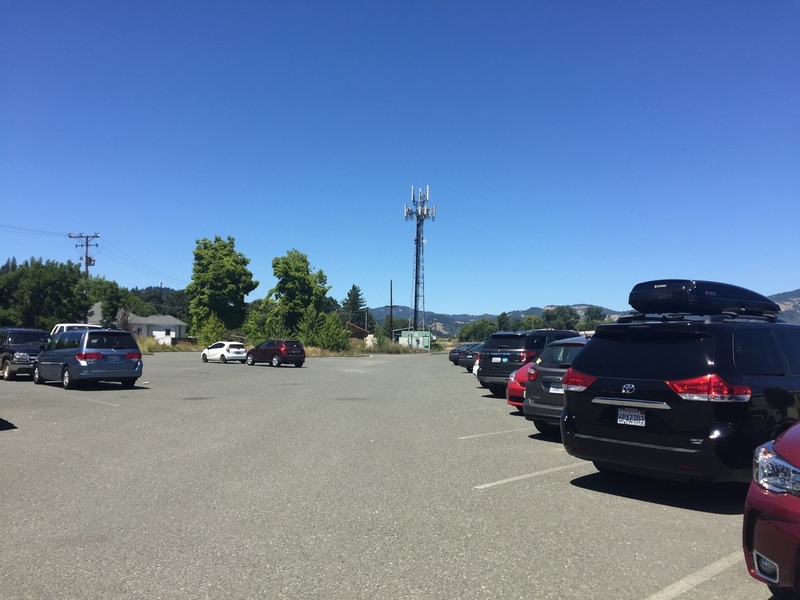 They request that you arrive 15 minutes early and the initial ride is about an hour-and-a-half, and then you will stop for 45 minutes for lunch. 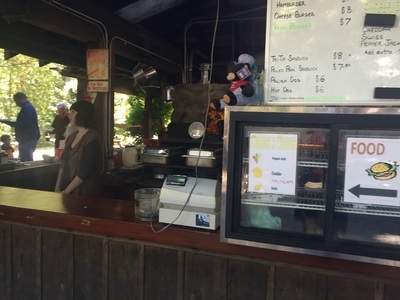 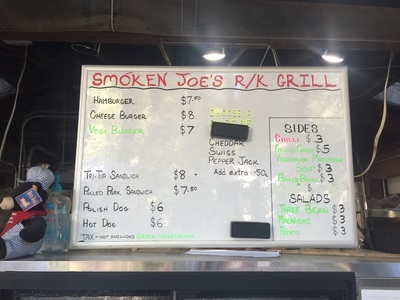 At your stop there is a mom-and-pop type of stand offering hamburgers, hot dogs and garden burgers. 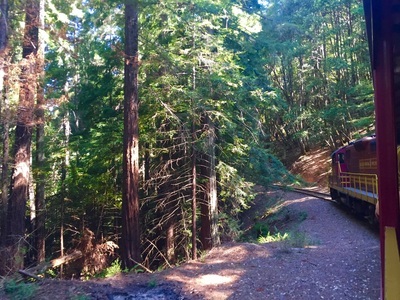 The ride back is along the same route, for about an additional hour-and-a-half. 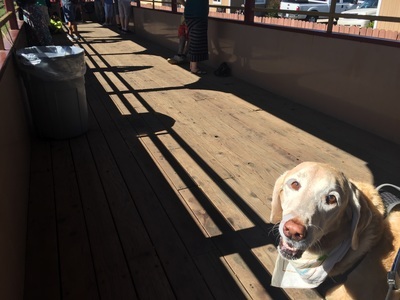 If your dog is easily spooked, you may not want to bring your dog along. 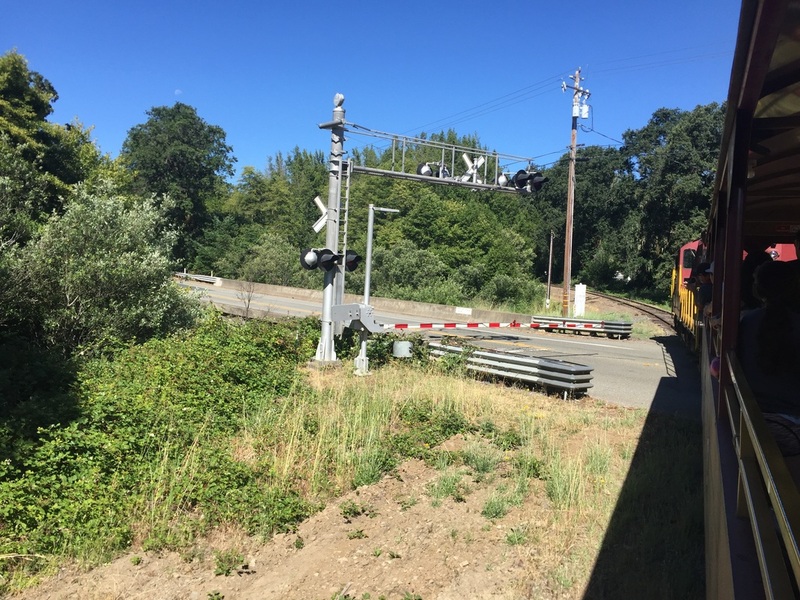 The train whistles, you will pass chimes at railroad crossings, and the wheels screech during some sections. Bailey was initially a little hesitant when she heard the loud noises, but she became acclimated and really enjoyed all the attention she received from the other passengers. 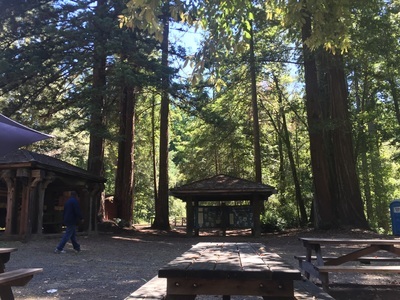 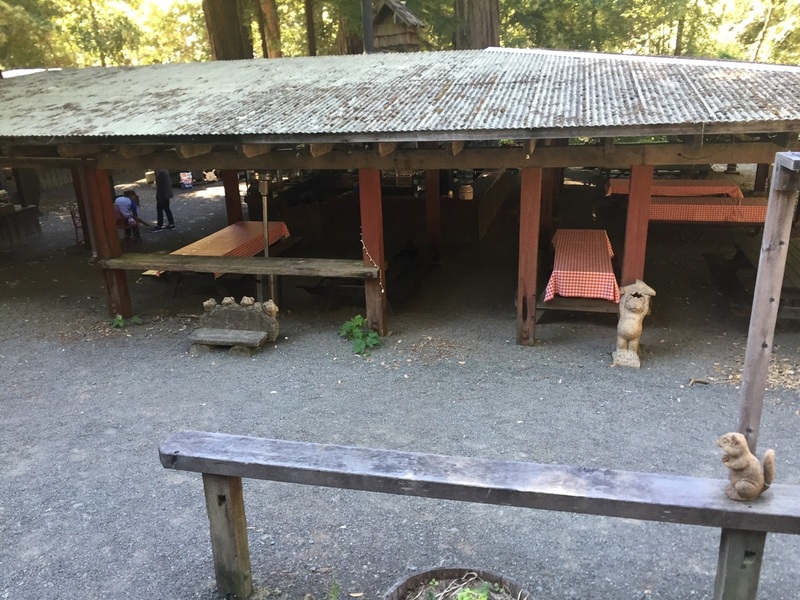 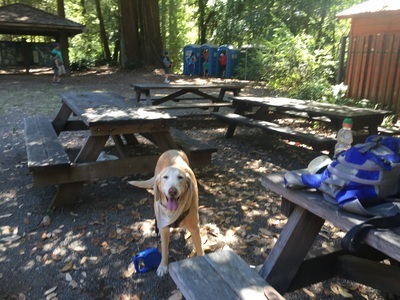 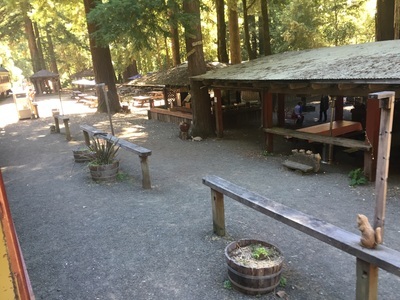 She enjoyed the sights and smells, and had fun running around among the redwoods at our stop for lunch. You can choose to ride inside one of 2 cars, or outside in the open-air car. 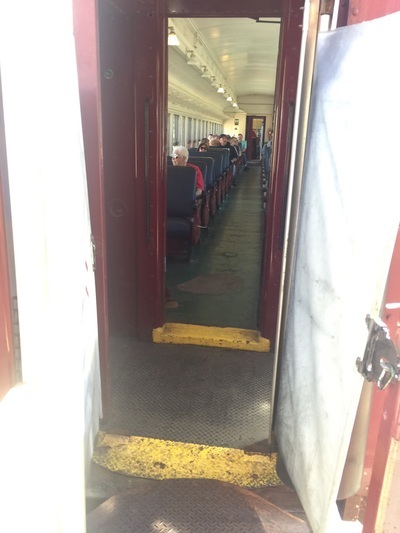 The inner cars have bench seating (some of the seats face each other for larger groups), with large windows you can look out. If you choose to stand in the open-air car, you’ll still be covered by a roof, but you’ll be able to enjoy better views and a nice breeze. 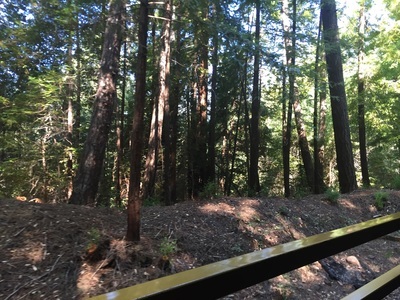 Just be careful, as there are some hanging branches you might not notice if you stick your head out of the car. During your trip out, the open-air car is directly behind the engine. 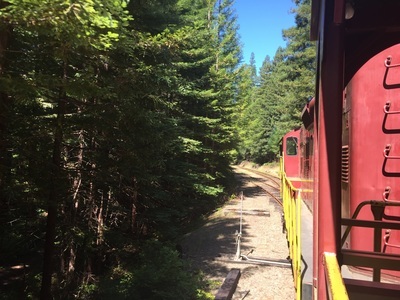 For the return trip, they move the engine to the other side so the open-air car is in the back and you have unobstructed views of the scenery from the end of the train. 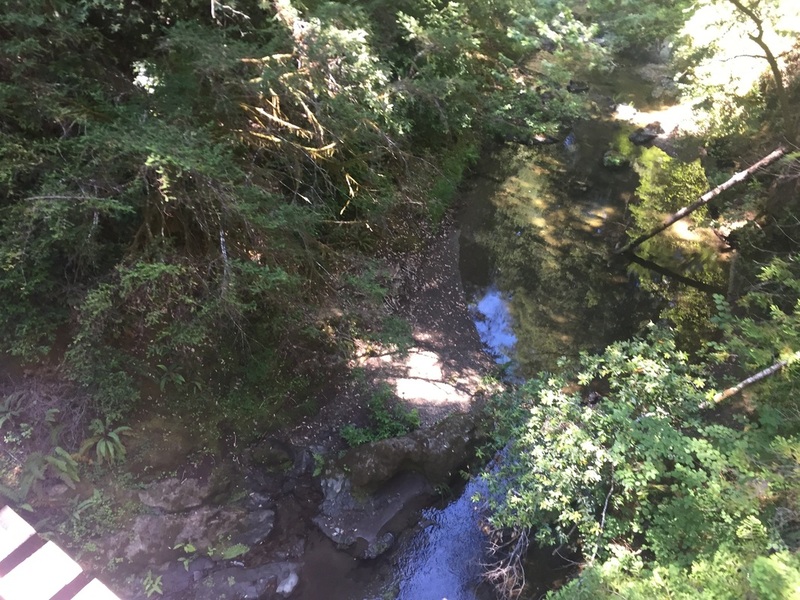 You can also choose to camp on the Noyo River, at the stop where everyone takes lunch, but there are only 8 campsites and they are pricey and fill up fast. 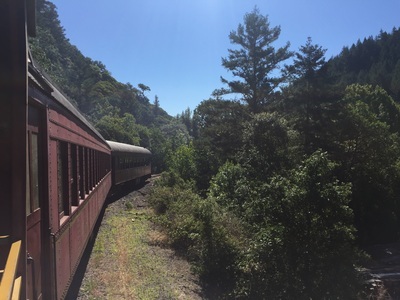 You will have to book these well in advance for the season (April-October).